Sacred Arts Camp – This week! This week, July 17 to July 21, 9 a.m. to noon, campers age 3–12 are connecting faith with creativity, using Shakespeare’s A Midsummer Night’s Dream. Shanna Allman (Seattle Shakespeare Company actor and director) and Mother Carla are leading the camp. Don't miss their performances this weekend! Midsummer Performances – This Weekend! Seattle Shakespeare Company's Shanna Allman, local actors, and campers from the Sacred Arts Camp will perform A Midsummer Night's Dream on July 22 (2 p.m. & 7 p.m.) and July 23 at 2 p.m. Tickets are $10/person, and kids 3 and under are free. Tickets are available at the church office or at the door. Proceeds go to future Sacred Arts Camps. When we do missions, we have an away team that goes and a home team that supports them. The home team needs people to be prayer partners for the away team, provide general prayer, help with transport to/from the airport, prepare dinner the night before the away team leaves, assemble a quick breakfast the morning of departure, and assist with behind-the-scenes-tasks. If you want to help or have questions, please contact Karen Fisher (253-569-8613) or Denise Brumbaugh (206-653-4357). This fall, St. James is partnering with East Hill Elementary to provide backpacks and school supplies. If you would like to contribute, the following items are needed. Thank you in advance for all of your support and generosity. Note: Due to office closures for the Fourth of July, this month’s newsletters will move back one week (to be sent out July 13 and 27). If you would like to celebrate a birthday, remember a loved one, or give thanks to God by providing altar flowers, please sign up online or call the church office at 253-852-4450. Flowers cost $75, but any donation is happily accepted. Your other donations are welcome, too! 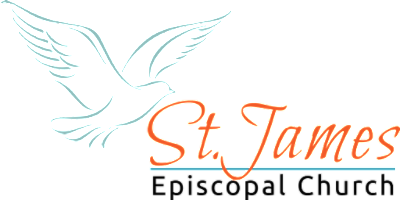 Copyright © 2019 St. James Episcopal Parish, All rights reserved.